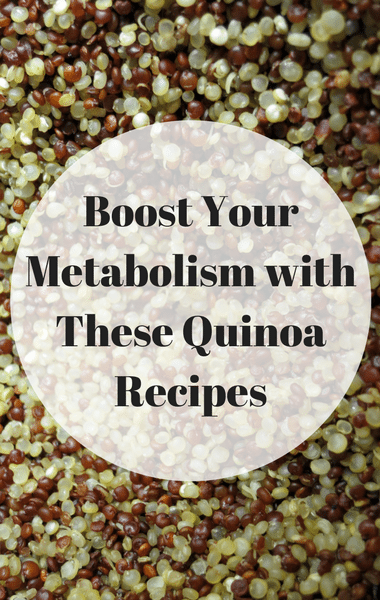 Are you searching for a way to give your metabolism a boost? Look no further than chef Rocco DiSpirito and his meal that is fast, tasty, and provides great energy. His secret ingredient was quinoa, an ancient grain loaded with protein, fiber, good fat, and quercetin which is a great flavonoid and antioxidants. To take things a step further, Rocco actually created three meals using quinoa, so that everyone could find a meal to enjoy. Rocco was challenged by three sisters to make one sweet, one hot, and one savory quinoa dish, proven to help rev up the metabolism and give the body more energy. Rocco began with a hot one and instead of oatmeal, he made a porridge out of quinoa. You can find that delicious recipe on the following page.